Japanese creative filmmaker Daihei Shibata brings us this great short production he’s created to highlight the beauty of the great outdoors, using one small forrest in full bloom throughout the entire piece. At the beginning segment of this project Daihei gets creative with the colour grading, which does remind me a little of the techniques used by Tom Ford in A Single Man. I think it’s the sombre undertones found within the music that reminds me of that specific film, the combination of Jacques Rouvier on piano and Debussy with the backing track really set this film off nicely. Daihei’s simplistic approach to creation means that he can really refine in on the smaller details of the visuals. 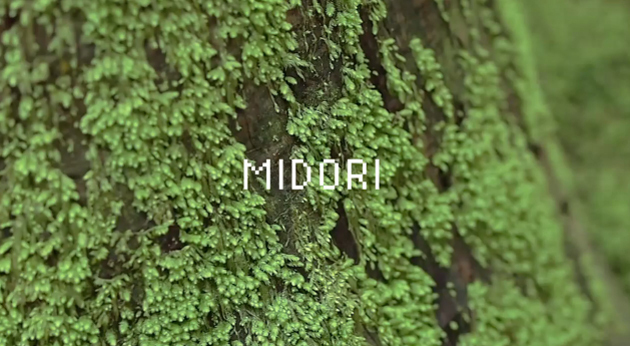 By keeping things simple he is able to compile a clean cut edit, enabling us as the viewer to enjoy an uncluttered screen and a relaxing montage of everything Midori (green) Daihei could find. For those that enjoy this style of filmmaking, more can be found from the Tokyo dweller Daihei Shibata via the link found below.